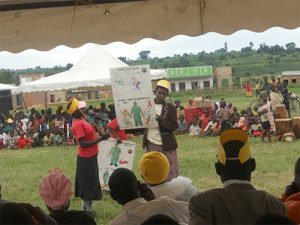 These photos show the various activities done by Uganda Empowers, ranging from tree planting, HIV testing, solar donations and school sponsorship. Founded by Matsiko Johnbosco, a HIV/AIDS Counsellor, the focus of Uganda Empowers is “To build a community where people infected or affected by HIV/AIDS can have positive dreams about the future”. What makes this project stand out however, is their approach to how they tackle this endemic problem in a sustainable way. 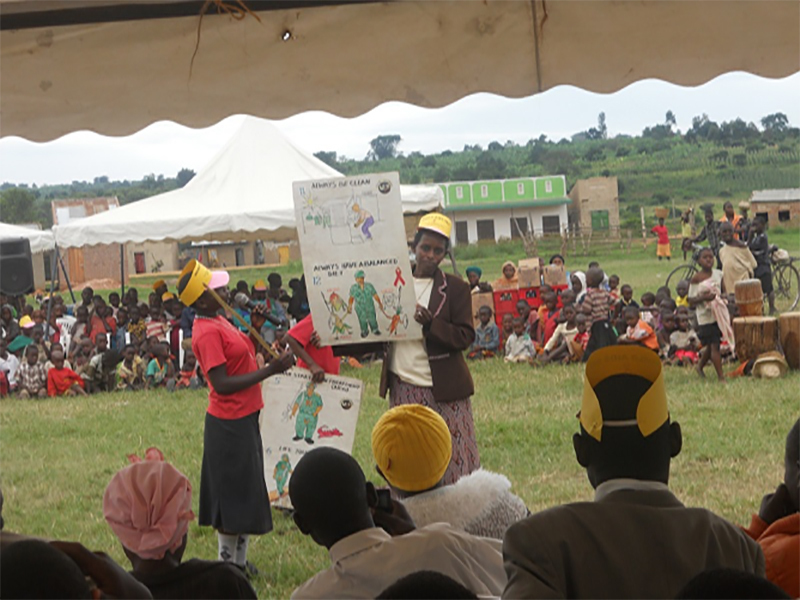 Uganda Empowers created a community solar business (Solar Nature) of which, 30% of the profits go into: school fee’s, creating savings groups, drama clubs, training and psychosocial support for families who suffer from being HIV+. Currently this program sees 500 families benefit by buying their cheap affordable energy resource, which in turn sees 34 families supported and 200 students a month sensitised about stigma and HIV prevention. See 225 households install affordable solar energy and 6 youths gain employment through Solar Nature by the end of 2019. Sustainably provide £300 a month to support HIV/AIDS affected households to boost their savings group and work towards their family’s future sustainability. Your fundraising will help Uganda Empowers boost its solar stock by 61 solar panels, 61 batteries and a whole range of other required technical items. This stock will enable them to supply their already sourced market with renewable energy. Being located on the equator, solar really is the best option as the sun is always shining throughout the year! Targeting 45 households a month, this solar project is expected to generate £1,000 a month, of which 30% goes directly to beneficiaries, 10% will be invested into project promotions, 30% pays for staff and volunteers expenses, 30% is used to buy more stock for future sustainability. It’s amazing to come across organisations that are already practicing sustainable development and just need a boost to help them hit their full potential!! One of the many thing’s that makes Uganda Empowers so great is that their beneficiaries can benefit from both their charitable program and their sustainability program. Solar really does save families money in the long run and can change lives. So Uganda Empowers even donates out some of their solar systems to HIV affected families to help them improve their households saving capacity. This can be seen in Nalongo Robina who, after having twins, became a single mother due to HIV effecting her husband. At about the same time she also tragically lost one of her twins due to a fire that broke out due to a candle burning low. She was donated a solar system by Uganda Empowers and 6 months down the line she is expressing a huge amount of happiness. Thanks to the power system, she has light for her children to study in the evening, security and savings with no more steep kerosene bills. But, most importantly, there is no longer a fire risk to her family and home because of the burning fuel.